I kept the quilting simple... just straight lines 1/4" from the seams. Absolutely perfect for when I needed a break from the chaos of vacation week. I could just pop in to my studio and sew a few lines before we were off and running to the next activity. 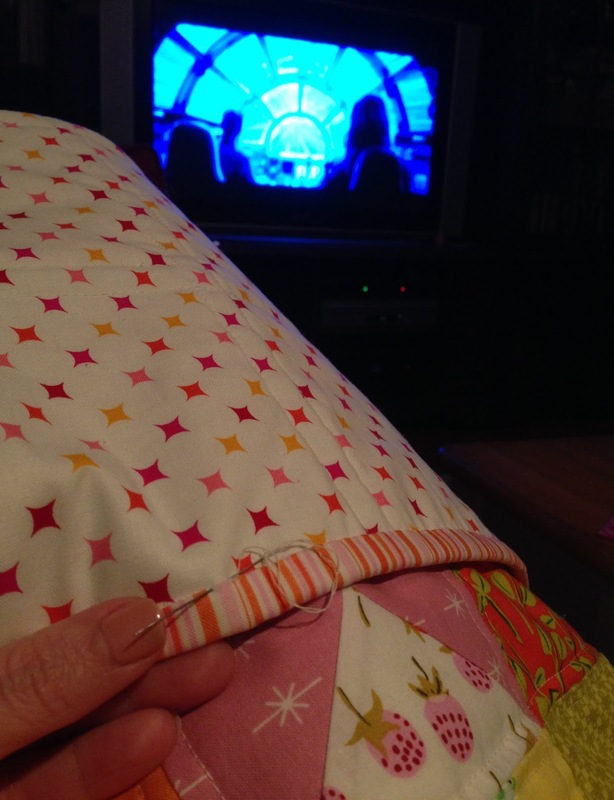 And I got the binding tacked during family movie night... I so love a striped binding!!! Checking in at this week's Finish it Up Friday by Crazy Mom Quilts and my first finish for Q2 of the 2016 Finish Along. Finished quilt is 41" x 50"
Fabrics: Briar Rose by Heather Ross and Stash. Binding Happier by Riley Blake. Your obsession is understandable. Heather Ross gets it right every time. 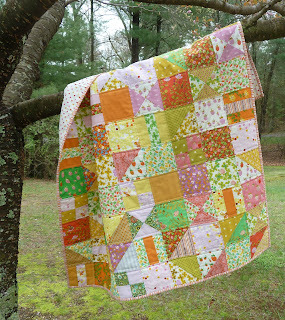 I just bought a FQ bundle of Mendocino -- love! Congrats on a beautiful finish! Perfect idea for the Tiger Lily I'm hoarding. Beautiful! 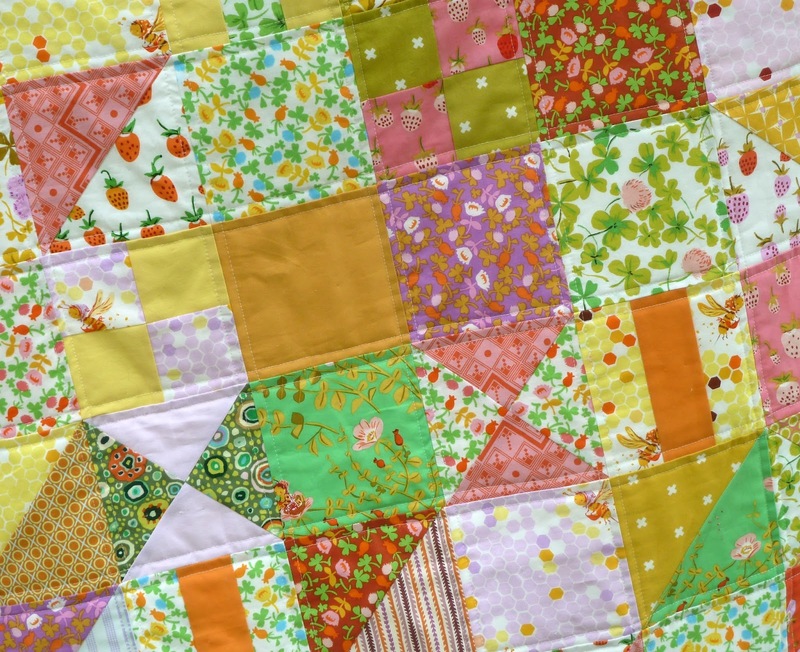 This is a perfect use of such lovely fabric! 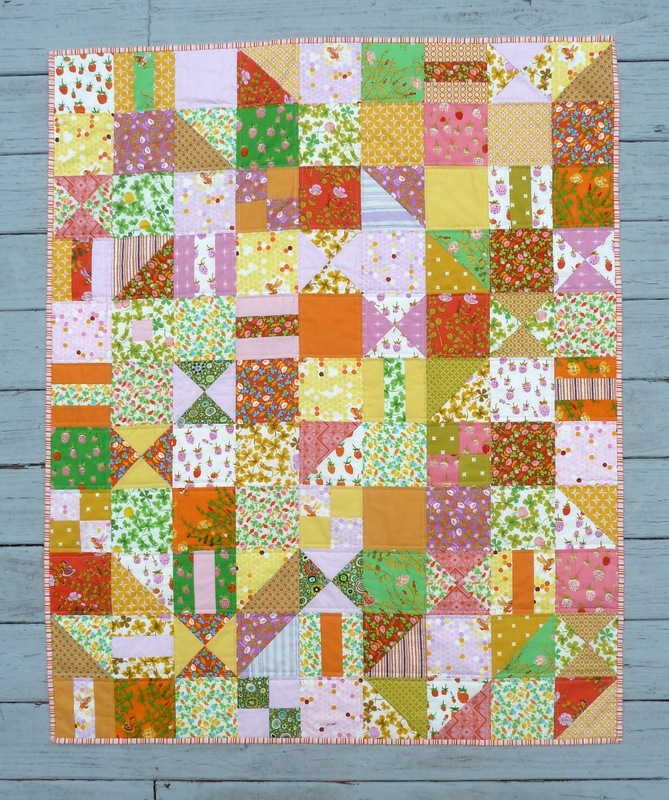 I love the placement of the pieced blocks and the random solid fabric. I am obsessed with this line too! Your quilt turned out adorable!